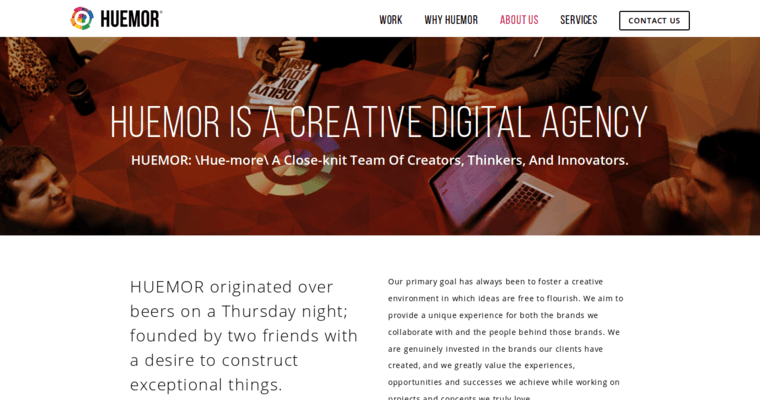 Huemor Designs has worked hard throughout the years to always provide their clients with top of the line quality work, and their main office is located on Long Island in New York. They have clients from a variety of different industries, and some of those industries include advertising, fashion, health care, technology, and cosmetics. However regardless of what industry their client is in, Huemor Designs always puts forth 100% of their effort into every project. They also have a few different services that their clients can choose from. Some of their more popular services are brand identity, email marketing, development & technology, marketing, and eCommerce.